The expression vector pGEX-3X was used for eukaryotic expression of a glucokinase (gk) cDNA fragment from pGK.B1. A rat gk cDNA fragment with an upstream BamHI site and a downstream EcoRI site was generated by linker-primer PCR and ligated into pGEX-3X. 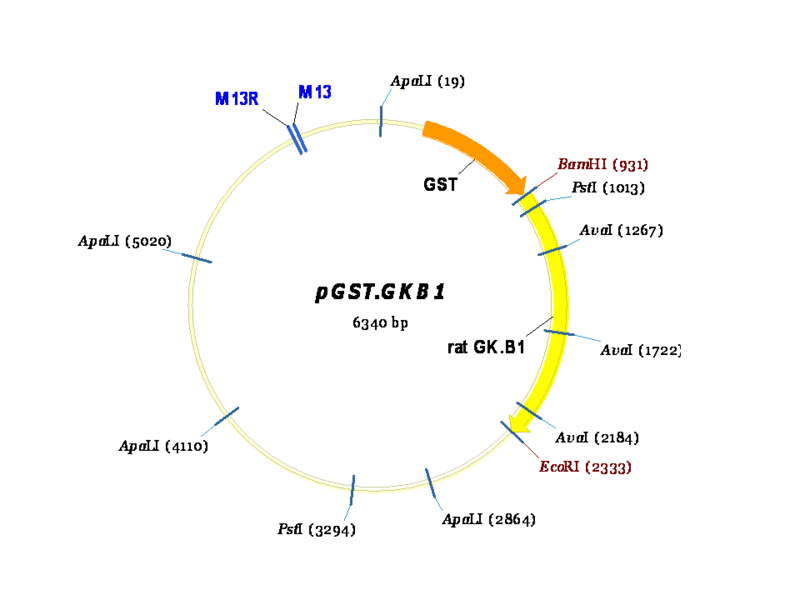 The plasmid is referred to as both pGST.GKB1 and pGEX.GKB1.